Approaching your house room by room is the most effective way to deep-clean your home at any time of the year, but especially in the spring. Use room checklists as a springboard for deep-cleaning the areas of your home that really need extra attention. Feel free to skip items that have recently been cleaned and focus on the parts of your home that have been neglected all winter. One of the biggest parts of spring cleaning is getting rid of clutter that you don't need. Now is a good time to take advantage of the natural spring urge to get rid of items that are weighing you down and begin fresh with a more streamlined lifestyle. Sorting your belongings into four categories—trash, give-away, store, or put-way—can also be effective as you begin the spring-cleaning process. Pro tip: Now is a great time to plan a garage sale or to donate items. Cleaning will be a lot easier when the clutter is gone. The cleaning aisles of our stores are stocked full of commercial products to help you clean, but the variety can be overwhelming. And dozens of cleaning products means dozens of cleaning products to clutter up your cabinets and closets. The real MVPs of spring cleaning are more basic supplies, such as a good all purpose cleaner and microfiber cloths. 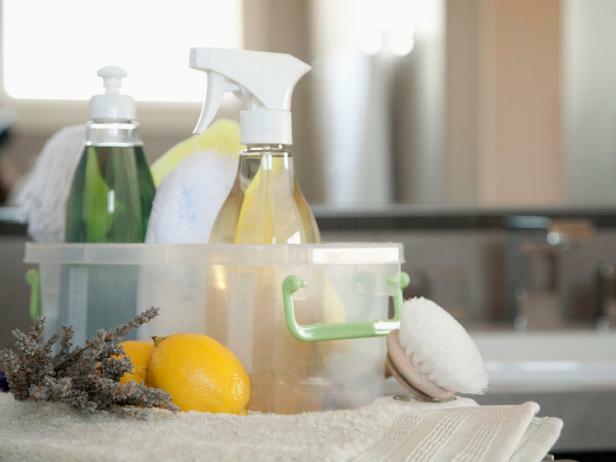 There are even homemade cleaners you can make that will save you money while protecting the environment. There are some special chores that need to be done seasonally. We ignore them for most of the fall and winter, but now it is time to bite the bullet and get these things clean. Even though these chores only need to be done once or twice a year, they will help your house look better and run smoothly. Outdoor chores like cleaning out grills, hosing down your patio and windows and fixing any minor things on the outside can give your home a quick face lift. If you need a little help in your cleaning endeavors, get your family or friends involved. Even the most unwilling helper can make a big difference in the workload. Don't worry: There are ways to deal with even the most reluctant helpers. This is actually a great time of year to get the entire family to work together. Try throwing on some music or ordering some pizzas as a mid-day cleaing pick me up. 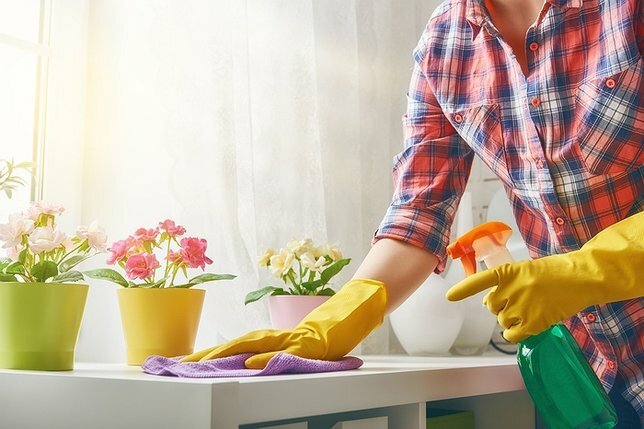 A good, thorough spring cleaning that includes the whole house is a great time to establish new on-going cleaning habits, and it can also make the next spring cleaning a lot more seamless. Simple 15-minute cleanup routines practiced every few days, each including a series of 1 to 2 minute chores, can make it extremely easy to keep your home clean and tidy all year long. Subject: LongIsland.com - Your Name sent you Article details of "Follow These Six Tips to Get a Head Start on Spring Cleaning"